How many sales do you think your company misses out on when certain items go out of stock? And, where are your potential customers looking for your products? These are the questions that will keep a business owner up at night. Mitigating the amount of lost sales is as prevalent as ever. If a person walked into a store, good businesses approach them, and ask what they’re looking for. But, if your business sells at high volume online, then every time an item is out of stock, you basically let that customer walk out of the store without asking what they want. Inventory management systems like Edgefinity IoT are built to help you manage every aspect of your inventory system. Adopting a modern inventory is the first step in being able to offer your customer a satisfactory purchasing experience, from your website, all the way to the retail floor. Here are 5 statistics that further expose the need for businesses to improve their supply chain and inventory management abilities. More consumers expect to find a deal online, or to cash in on a digital coupon. By offering your products and services on a multiple media set of channels, your brand has a much higher chance at developing a more loyal customer base. In so many ways, the growth of your company depends on the modernization of processes such as your supply chain. Break it down simply. If the value of your warehouse is going up, and your retail store’s value is not, perhaps shifting the point of sales has already happened. This is why new Walmarts are a fraction of the size that they were before. And, it’s why Amazon invests so much in their distribution centers. Yeah, I know we can’t all be Walmart and Amazon! But, it just further makes the point – the omni-channel marketplace is here to stay. If your inventory is only 63% accurate, a lot of things can go wrong. Items will be out of stock often. 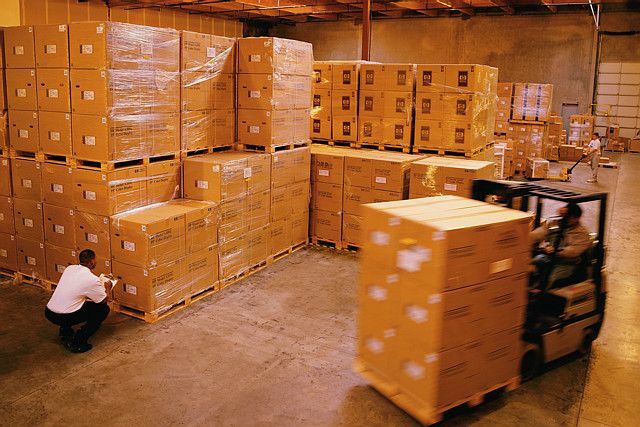 Shipping items to customers can take very long if you are waiting inventory replenishment. Customer satisfaction will plummet. To compensate for the inaccuracy, you really only have one option. That is to purchase or hold more inventory than you can sell. You could use your capital in so many other ways. To tie it up in unsold inventory is a huge error that occurs far too often. If it’s not on the floor, they’re not buying it. It’s just that simple. Pardon the stereotype, but many man will refrain from asking if items they’re looking for are in stock. You can see them walking out of the store, and quietly head to a competitor. Or online – how often does this happen. A customer goes to your site. They love what they see. But, just as they are making the purchasing decision, they realize the product doesn’t come in the right color or size. There goes the sale. And that number will almost certainly rise significantly every year. More stores than ever are offering this service, and more customers are using it. It’s easier than ever to buy online from your laptop, from your phone, and, thanks to operations like Amazon, the customer expectation is to have the purchased items in their hands immediately. The idea to have the product available for pickup or immediate delivery is at the heart of Amazon’s most ambitious project yet – Amazon drone deliver. Maybe your business can’t have flying delivery drones, but you sure can have a more visible inventory system. And, having that will make all the difference when entering the omni-channel arena.